After the invasion of Poland in 1939 during the Second World War the Polish government- in-exile was set up, first in France and later in the UK. It was based in London from 1940 onwards and influenced the Polish resistance throughout the Second World War. Although the government-in-exile existed until 1990 it was most powerful between 1940 and 1945. 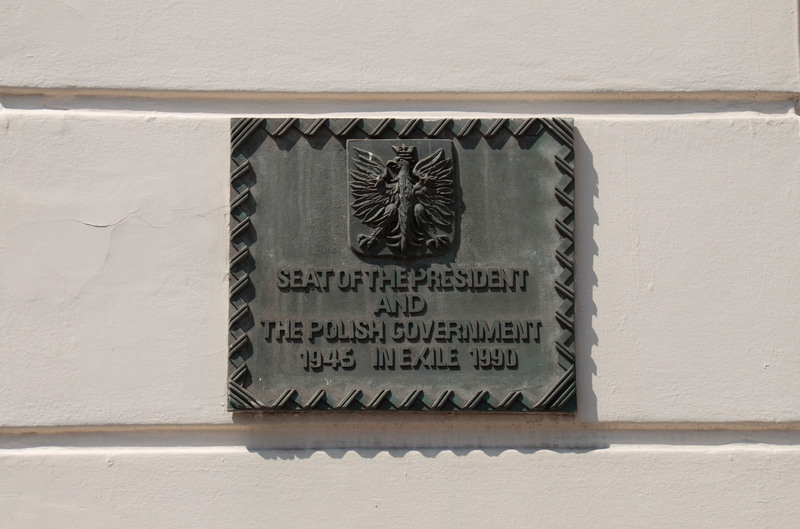 This photograph shows a plaque in Eaton Place, Belgravia, London which commemorates the seat of the Polish president & Polish government-in-exile from 1945 to 1990.